Hey Coffeeholics! If you have been following my instagram (follow me! @kai_sensei) and twitter, then you'd see these awesome super fun photo of me and my niece Sofi having a blast! Bigay na bigay kami ni Sofi dito! hehe! Yes my dears, that's coz yesterday, we were able to "enroll"
to the Giordano's Monsters University Fair at Trinoma. Giordano Philippines is inviting you to get a taste of what it’s like to participate in Monsters University’s Freshman Fair when it opens its wrought iron gates. Yes they have mock gates! Nice noh? 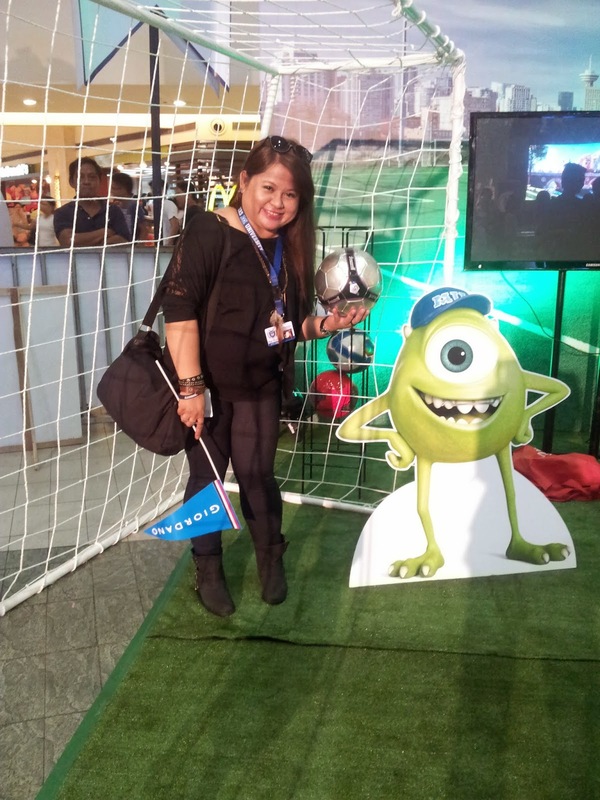 Experience being in the world’s best scare university, don Mike Wazikowski’s shoes and attend Giordano’s Monsters University Fair on June 29-30 at the TriNoma Activity Center and July 6-7 at the SM Mega Mall A Showcase Area. Fun and freebies await you. No tuition fee required! Entrance is free for all! 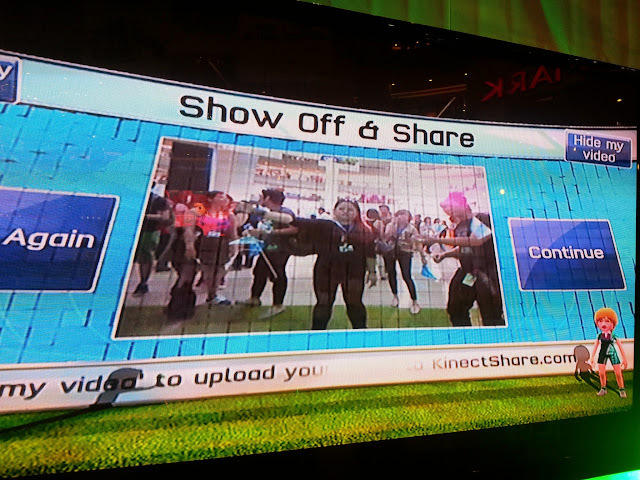 Take a stroll around the booth area with friends and family. 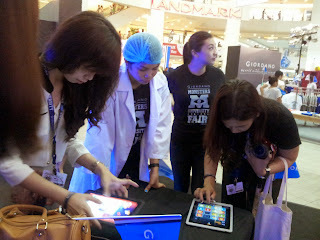 Participate in various games and activities that will test your brain, brawn and scare-ability. 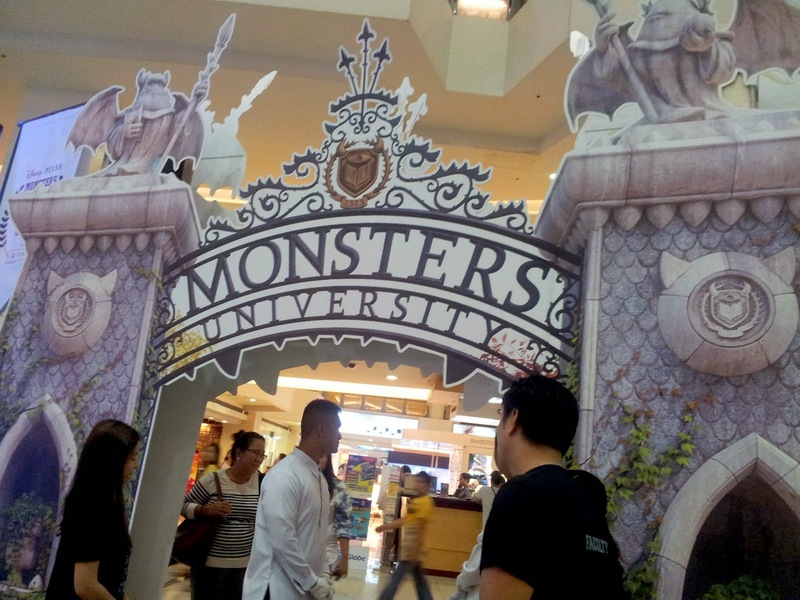 Win special prizes and display that Monsters University pride! That's Sofi having her photo taken. 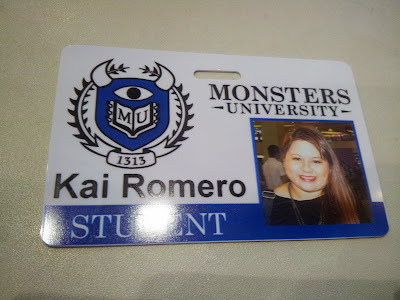 Us bloggers got a chance to have our own Monsters University ID! 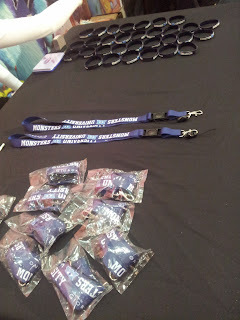 Also the lanyards (ID lace) and baller ID were sooo cool. 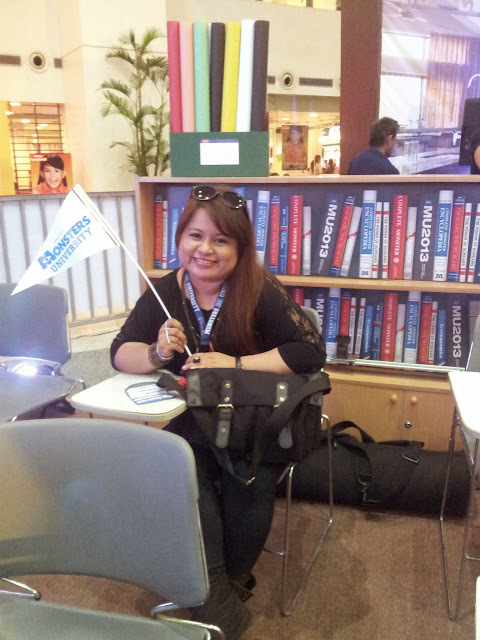 Feeling student talaga! hihi! 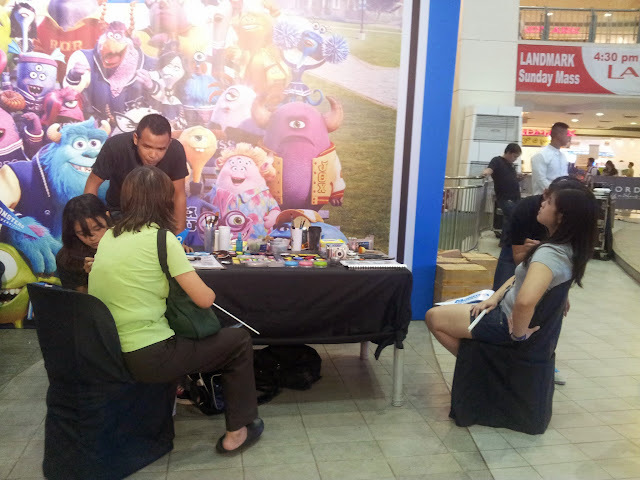 At the Giordano Monsters University Fair, several fun-filled games are in store for you. The activity center is divided into several areas. 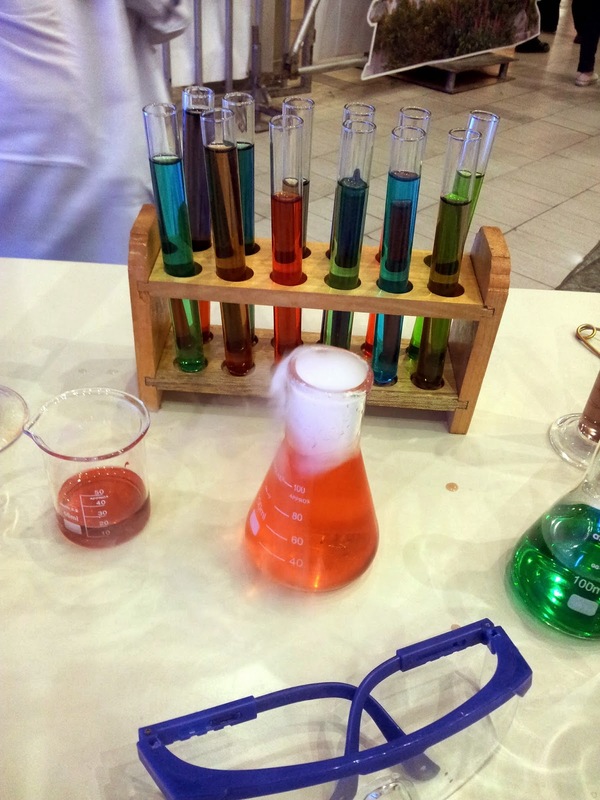 Each area has a specific "course" where you can learn and have fun! So check out this first stop. 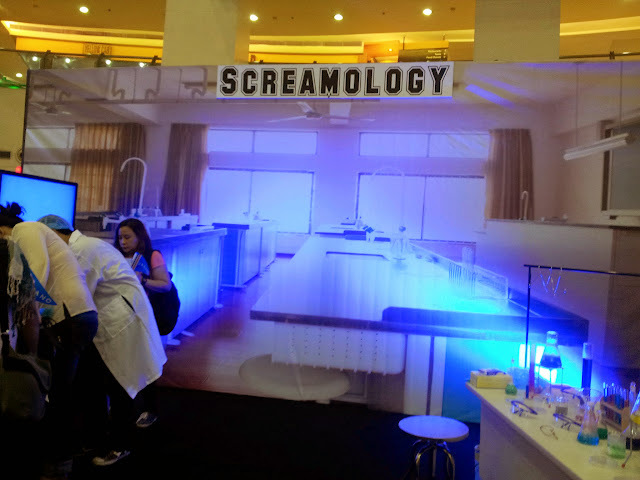 WELCOME TO THE SCREAMOLOGY SECTION! 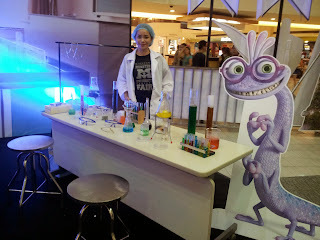 Here in the Screamology section, your speed is tested! 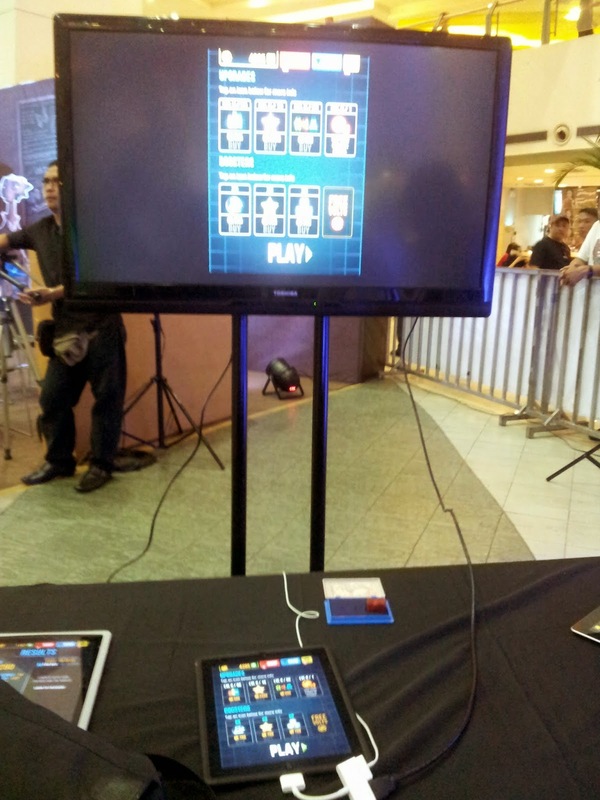 Test your mental speed with a playtime of 2Fuse at the first gaming station called Screamology. 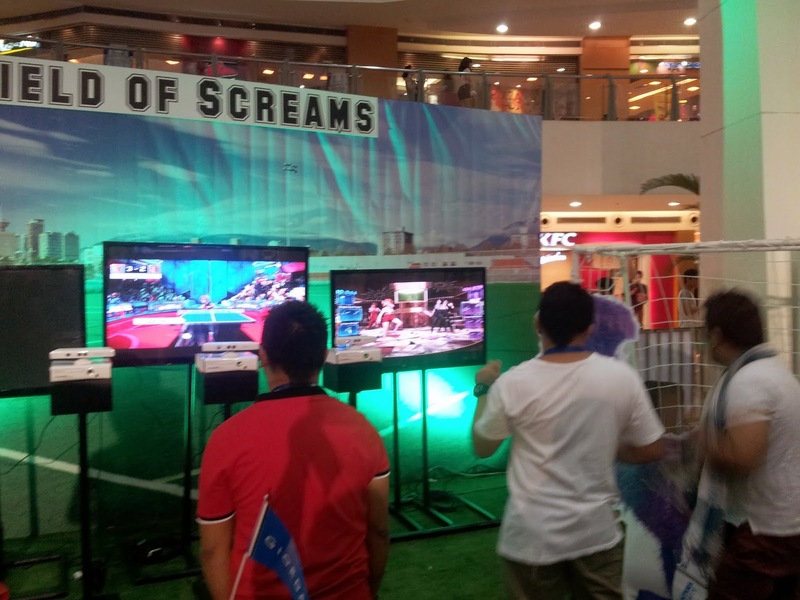 Yeah here, you can scream out your frustration as you try to beat that buzzer beater to get the top score. Combine numbers with similar colored cubes in 60 seconds. I have this game on my android app so I was pretty confident. LOL. Sadly you can't use the boosters.. wahaha. 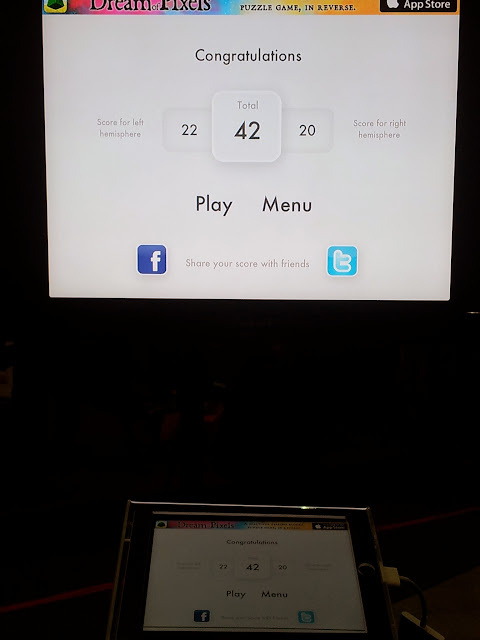 So my highest score was 43,000. T__T boo. 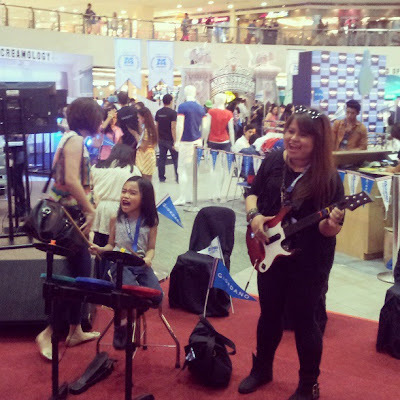 Fellow blogger Arnie Villanueva (thats her on the left) showed her stuff and easily bagged the top score with a grand total of 80,000 plus. Ang taray! 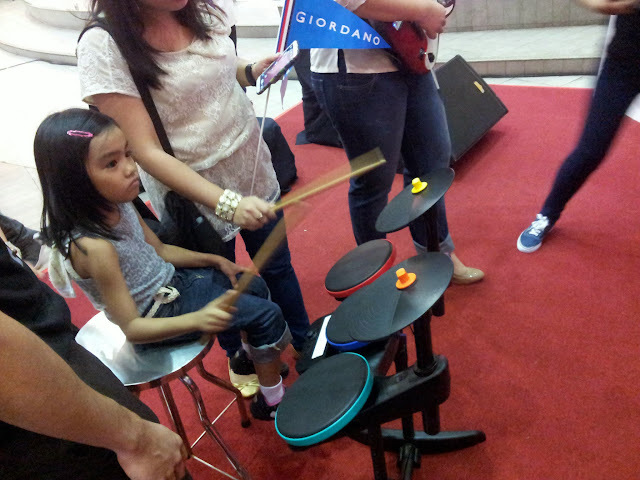 Look at her intense concentration sa game. hehe. 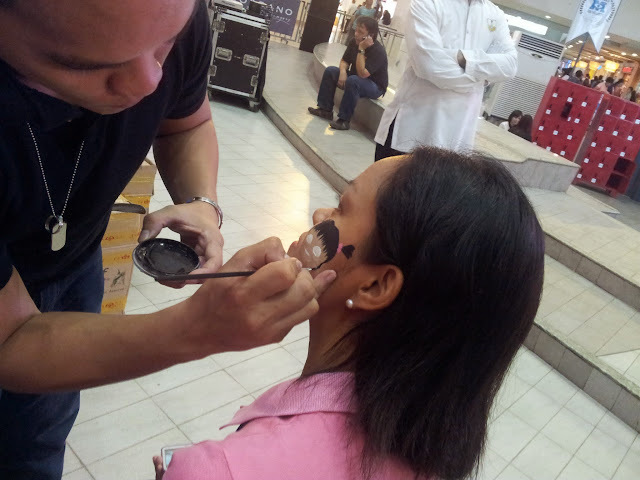 Blogger Ana Gonzales on the right is learning the game! Go Ana go! 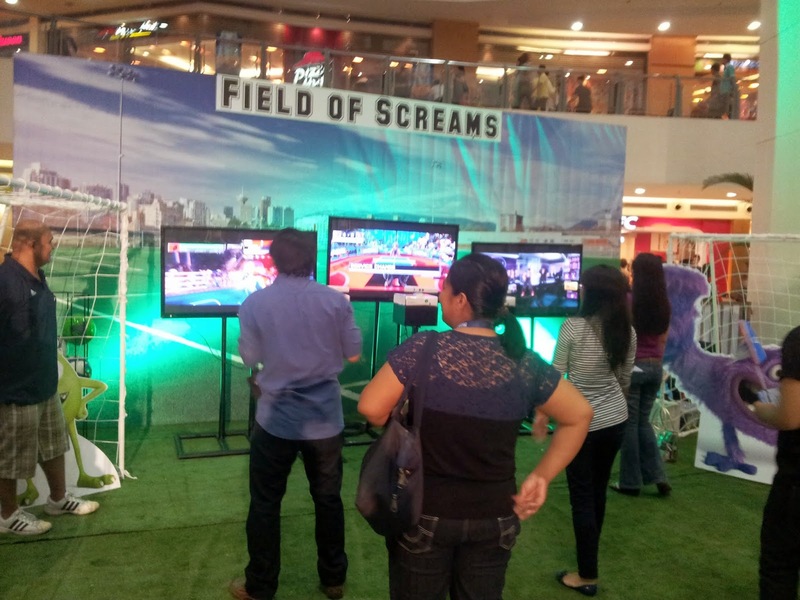 WELCOME TO THE FIELD OF SCREAMS! Are you into sports? Wanna test your athletic ability? THEN you definitely shouldn't miss out trying out THE FIELD OF SCREAMS. This second gaming station allows sports buffs to size up their fitness and agility with XBOX Kinect Sports. Find out if you can make it into the varsity team or if you need more training. Some of the "sports" available where boxing, volleyball, table tennis, group exercise, and probably a whole lot more! I tried out the table tennis. Basically its because its the best sport that I know! Grabe super fun! It really felt like I was playing the real thing! 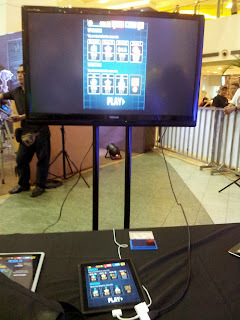 I found myself making the proper posture and form in table tennis and nakaka "drive" or "smash" pa ko! hehe. Pinagpawisan pa ko nyan take note! haha. I think its an awesome way to exercise. 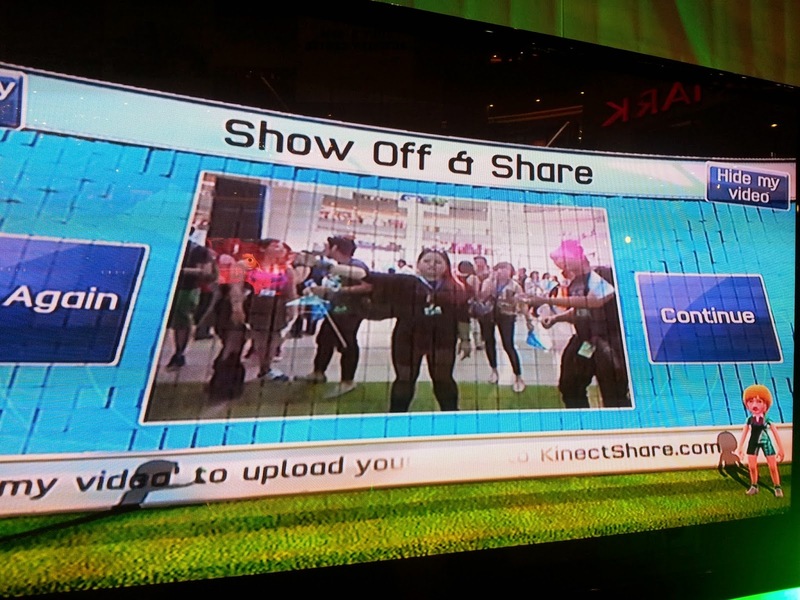 o__o now I want an Xbox Kinect in my home. Have a photo taken with Mike Wazowski! WELCOME TO THE SCHOOL OF RAWR!!! 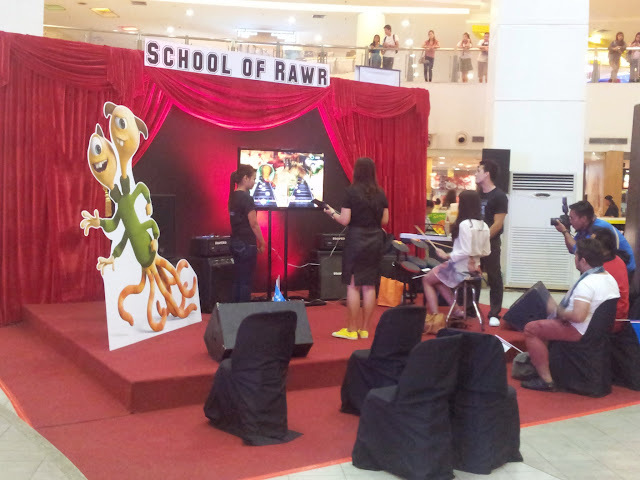 If you are into music, then the third gaming station called School of Rawr, is perfect for you. Amp up the volume and explore your musical prowess with Guitar Hero. 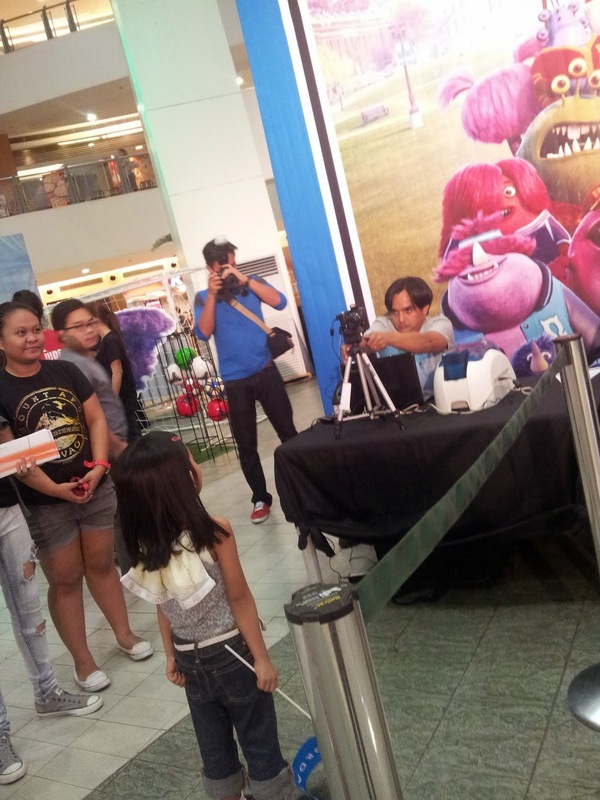 Compete for the highest score and earn bragging rights as Monsters University’s primo rock star. And that's me messing up GUITAR HERO. LOL! Grabe all I did was LAUGH so hard and pathetically tried to "play" the guitar in sync with the blinking buttons on the screen. LOL. Yes sorry naman. Super fail. I really am not musically inclined - especially with instruments. Please don't ask me my score. Its not worth mentioning. HAHAHA! Want a more pensive, subdued setting? 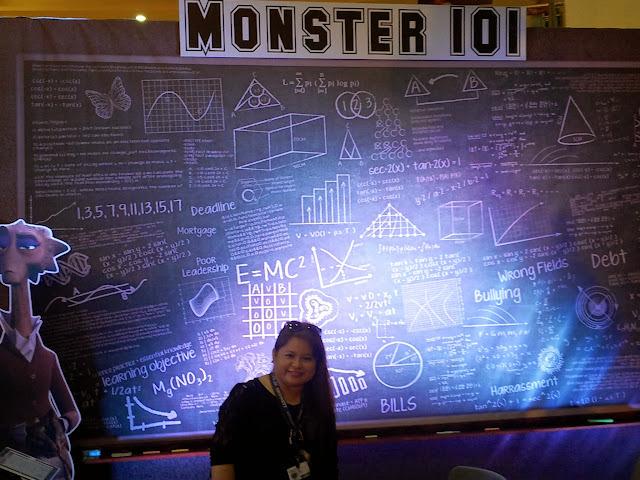 Train your brain with Twinoo at Monster 101, the fair’s fourth gaming booth. Sit back, and let logic and art come together in this classroom-type station. Put those thinking caps on and show everybody why it’s cool to be a nerd. I'm a bit competitive by nature but this is Math AND Arts. Pahinga muna! hehe. A moment when the TEACHER became a STUDENT. Hehe. 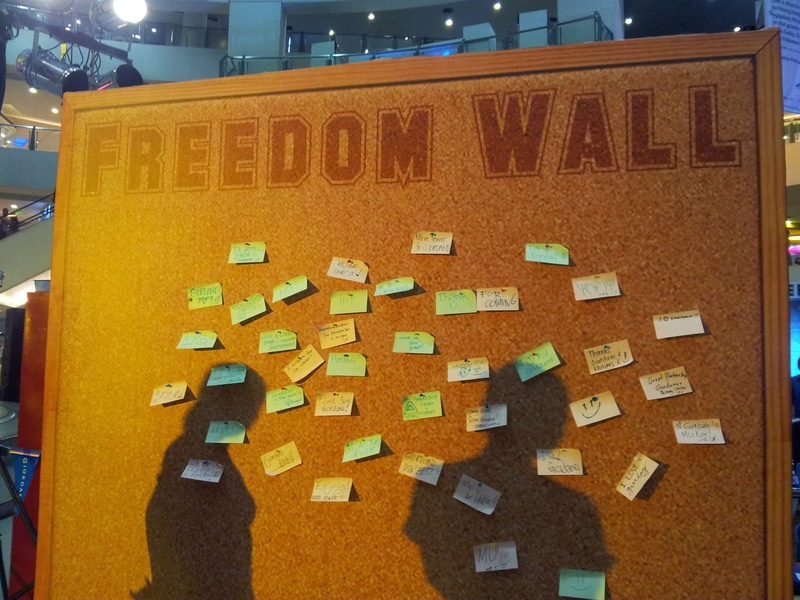 FREEDOM WALL where you can post a note there. 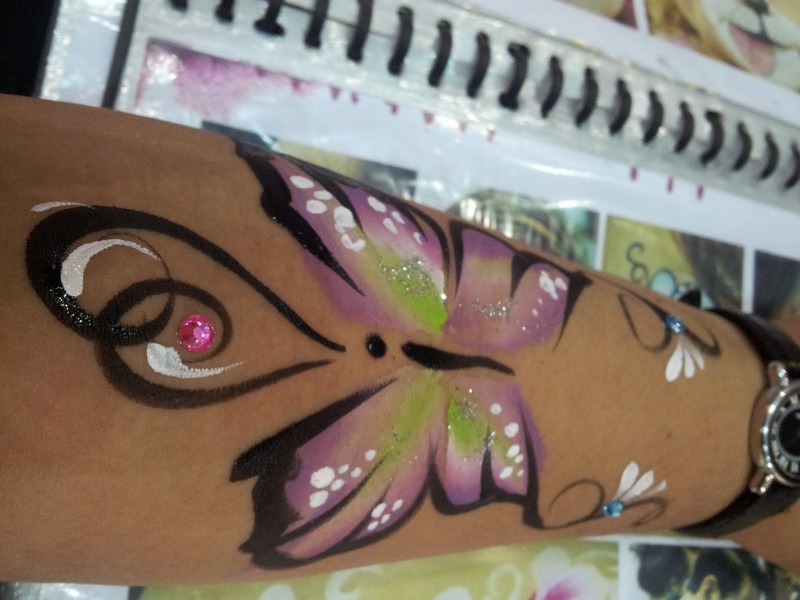 ALSO, they have a face and body paint area. SUPER COOL! 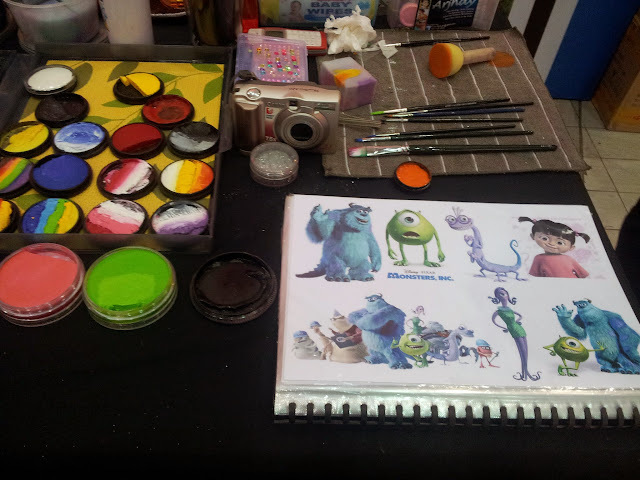 You can have some of the characters from Monsters University painted on you or some other cute and cool stuff. Fellow blogger Marj had Boo painted on her face. CUTE! Well me of course I had a PURPLE BUTTERFLY painted on my arm. Me and Sofi showing off our arm tats! (Hello Kitty for Sofi!) Chos! Hehehe! 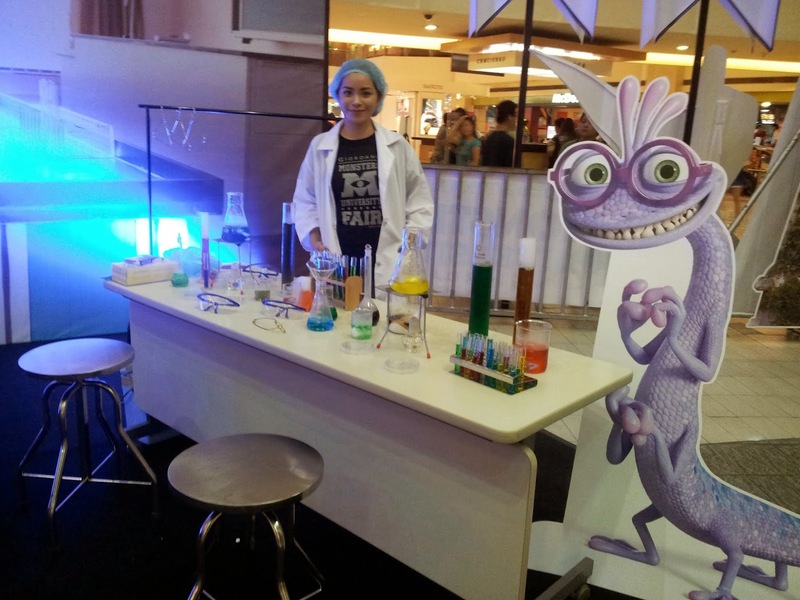 Conquer the challenges and complete your report card stamps to claim your Monsters University freebie. 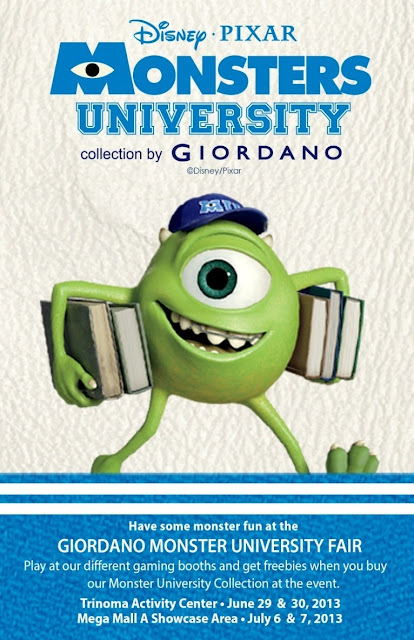 Exclusive Giordano Monsters University merchandise like printed tees, hoodies and polo shirts will also be available for purchase during the event. 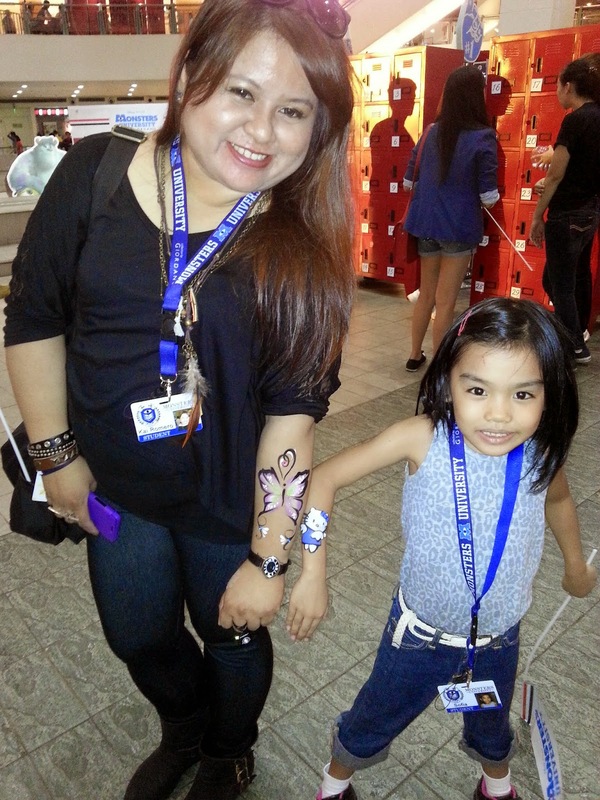 FEEL THE SCHOOL SPIRIT! 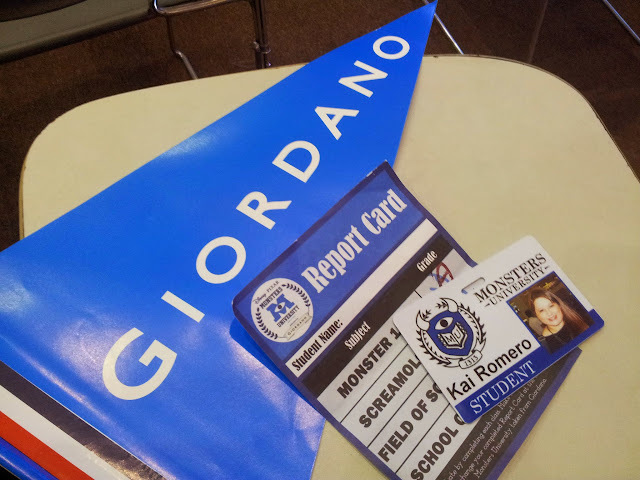 :) My Report Card, ID, and Banner! Will be talking about this more on a separate post. 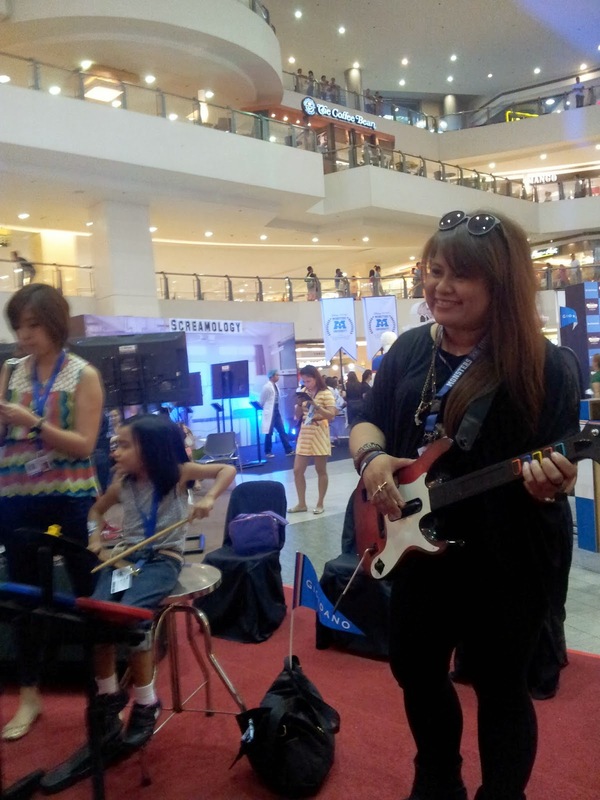 ANYWAY, the TRINOMA leg is over and done already. :( awww.. IKR. SM MEGAMALL A on July 6-7. Don't miss out on some Monsters University fun! So what are you waiting for Coffeeholics? Mark your calendars. 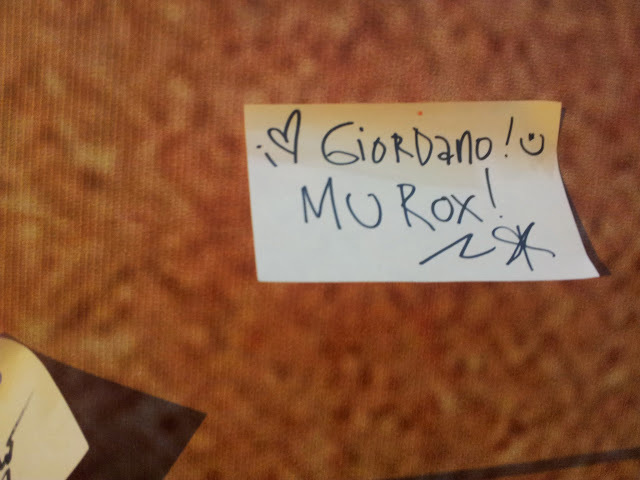 Or better yet, drop by the nearest Giordano branch and check out the merchandise yourself. I like to have a monsters university ID too. The Giordano tie up is really great. I hope they tie up with those cute minions too. Sobrang inggit ako! I wish my son and I could get to do this as well. I envy you. You have an ID! I loved Monsters U but we didn't have fun events here. I'm so bummed I missed this event! Really love the first movie, I can't believe it took this long for them to come up with the 2nd installment. Anyway, it seemed like everyone had so much fun! Super inggit sa MU ID!